Fidel's Little Mexico has been a staple for North County locals since 1960. The house-turned-restaurant consists of three different levels, including a festive courtyard, a couple of bars and outdoor patios, and a taco bar. 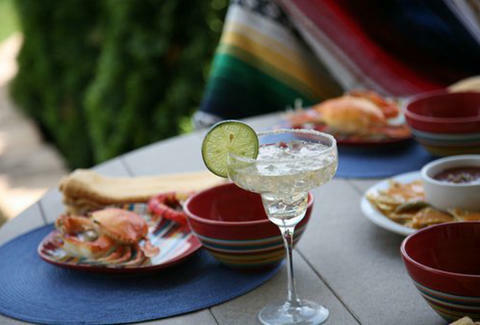 In addition to the fabulous venue, the Mexican cuisine takes you right to the border. Starting with the bare necessities, Fidel's is all about their chips and salsa. Once you dip your first chip into their spicy, yet sweet salsa, we can assure you that you won't be able to stop. The menu offers classic items such as enchiladas, huevos rancheros, fajitas, and countless burritos, just to name a few. As a weekly-Fidel's customer, it is highly recommended that you order the chicken and rice soup, as well as a patron margarita (on the rocks, with salt, of course :) The chicken and rice soup is simple and consists of only avocado, cilantro, and onions while served with your choice of flour or corn tortillas. Also, be sure to order a side of enchilada sauce to dip your chips in...you won't be disappointed!